There are 14 Memory Care Facilities in the Moorestown area, with 2 in Moorestown and 12 nearby. The average cost of memory care in Moorestown is $7,350 per month. This is higher than the national median of $4,650. Cheaper nearby regions include Cherry Hill with an average starting cost of $5,394. To help you with your search, browse the 26 reviews below for memory care facilities in Moorestown. On average, consumers rate memory care in Moorestown 4.7 out of 5 stars. Better rated regions include Philadelphia with an average rating of 5.0 out of 5 stars. Caring.com has helped thousands of families find high-quality senior care. To speak with one of our Family Advisors about memory care options and costs in Moorestown, call (855) 863-8283. Moorestown, a township in Burlington County, New Jersey, and an eastern suburb of Philadelphia, has a population of 20,500 people, 18 percent of whom are 65 and over. About 12 percent of seniors in the county have Alzheimer's according to the Centers for Medicaid and Medicare Services, and aging citizens in Moorestown with Alzheimer's and related dementias can choose from two memory care facilities in the town and 11 more in surrounding communities. 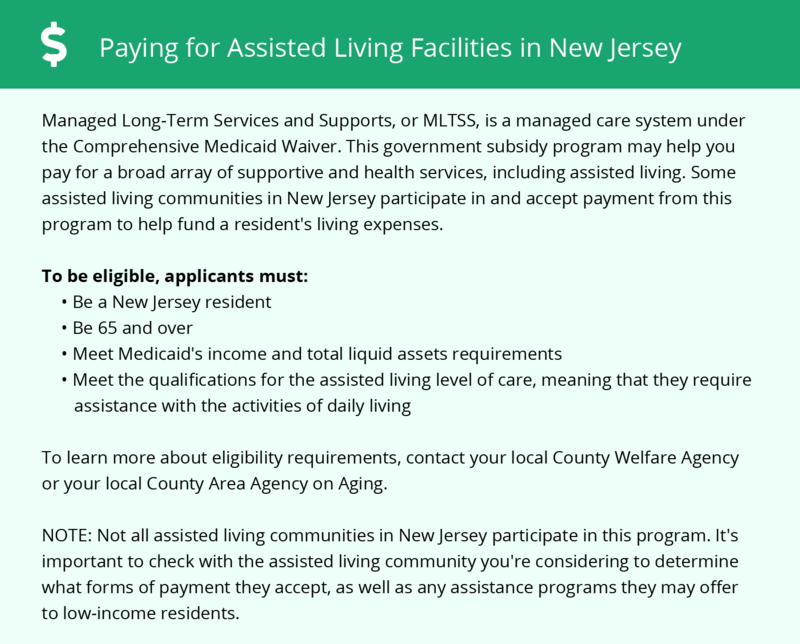 Throughout New Jersey, including Moorestown, there are three kinds of assisted living facilities; they include assisted living residences (ALRs), comprehensive personal care homes (CPCHs), and assisted living programs (ALPs). All facilities are licensed and regulated by the state's Department of Health and Senior Services. Moorestown, New Jersey, is moderately tax-friendly to seniors. Social Security payments are not taxed by the state, and state income taxes are low for retirees with less than $65,000 in income from retirement accounts and pensions. Unfortunately, property taxes here are the highest in the country. The cost of living in Moorestown is three times the national average, driven by higher housing costs in the area. This may indirectly impact seniors in memory care facilities due to possible higher operational costs. On average, Moorestown has 205 sunny days per year which matches the national average. The town has a wide range of temperatures from winter lows of 26 in January to summer highs of 87 in July. Families with loved ones in memory care units may want to ask staff what steps are taken to keep residents comfortable when the weather reaches extreme temperatures. Moorestown has an air quality of 54 compared to the national average of 58. The ranking is based on the EPA's new measures of hazardous air pollutants, and it assesses the risk of respiratory illness and cancer due to pollutants in the air. Seniors in Moorestown may experience the same quality of air here as in similar U.S. cities. Memory Care costs in Moorestown start around $7,350 per month on average, while the nationwide average cost of memory care is $4,800 per month. It’s important to note that memory care rates in Moorestown and the surrounding suburbs can vary widely based on factors such as location, the level of care needed, apartment size and the types of amenities offered at each community. 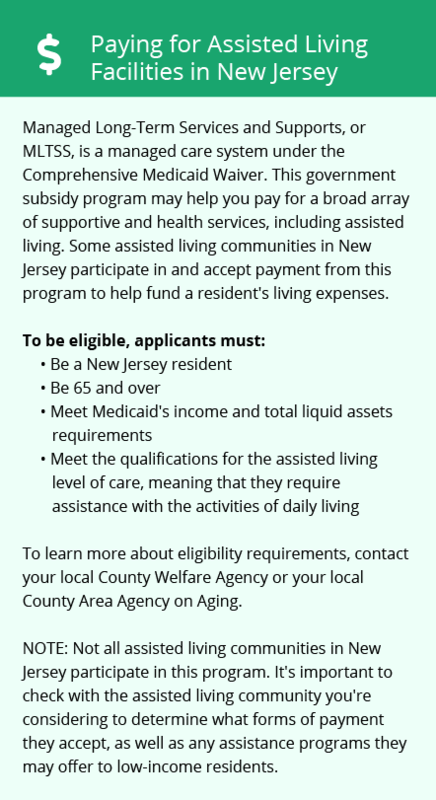 Moorestown and the surrounding area are home to numerous government agencies and non-profit organizations offering help for seniors searching for or currently residing in an assisted living community. These organizations can also provide assistance in a number of other eldercare services such as geriatric care management, elder law advice, estate planning, finding home care and health and wellness programs. To see a list of free memory care resources in Moorestown, please visit our Assisted Living in New Jersey page. Moorestown-area assisted living communities must adhere to the comprehensive set of state laws and regulations that all assisted living communities in New Jersey are required to follow. Visit our Memory Care in New Jersey page for more information about these laws.